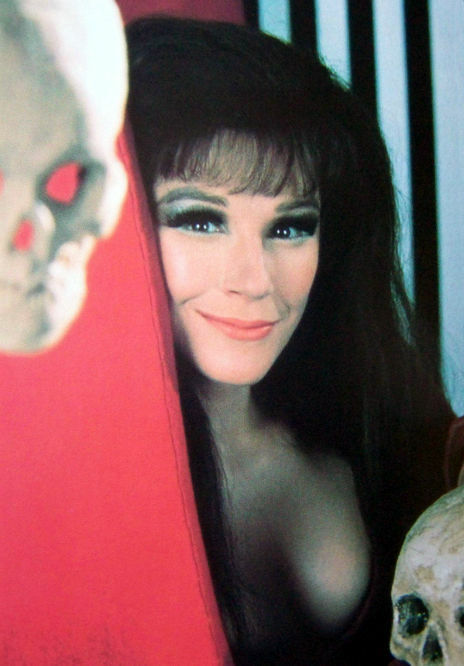 Sad news: Fenella Fielding, the inimitable actress best remembered (and adored) for her role in classic British horror-comedy Carry On Screaming! (1966), recently passed into the infinite, at the age of 90. According to a statement from her spokeswoman: “This follows a severe stroke two weeks ago. During that time, she has been very comfortable and always looked tranquil and divine. And always wearing her eyelashes… Miss Fielding was an incredible talent. That voice! A unique woman, much loved by family, friends, and fans. She will be missed tremendously.” Amen. This entry was posted in Rants about Films and tagged Carry On Screaming, Fenella Fielding. Bookmark the permalink.